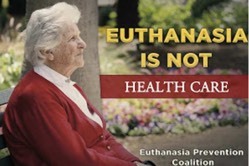 There have been several stories indicating that there are problems with Canada's euthanasia law. For instance, Candice Lewis was pressured by doctors to die by euthanasia. Now she is feeling much better.